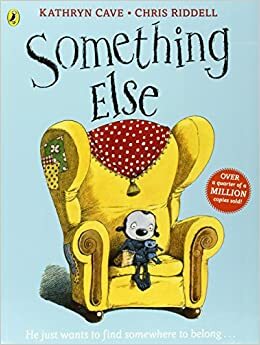 This is a gorgeous book about how everyone is different and everyone is ‘something else’. A small blue creature finds that he is not tall enough and doesn’t have good eno ugh hand to eye coordination to play with the others – and he quickly realises that to be ‘something else‘ isn’t a good thing and goes home. A while later a different creature turns up on his doorstep and really just asks if he can be his friend, if they can hang out together, but he’s different, he’s ‘something else’. Our little blue monster starts to turn him away. Just before he does, though, he realises that if he really is something else, then really, they are both the same (though different) and they make friends.